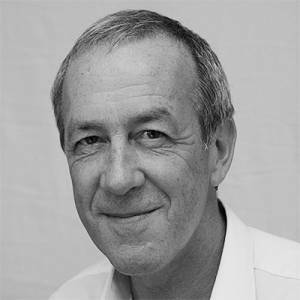 With a professional career spanning over 30 years’ working with children, adolescents and families, Will brings with him a rich portfolio of clinical experience and professional expertise across different service settings. Will began his career as a Social Worker in a residential context with looked after children and young people. His growing awareness of the need to provide specialist therapeutic services for looked after children led him to undertake additional psychotherapeutic training. Since qualifying, Will has gained over 20 years’ experience working with children and families working in Child and Adolescent Mental Health Services (CAHMS). He has particular expertise in working with looked after children who have experienced multiple attachment disruptions and suffered severe trauma and neglect. He was the winner of the South-East NHS prestigious award for excellence and innovation in ‘user-led’ participation in mental health care. Will’s principal therapeutic approach is psychodynamic and integrative but he also works systemically with families to support them find creative ways to manage the challenges they face in parenting children with complex emotional needs. Will has undertaken additional training in Solution-focused Therapy, Dyadic Developmental Therapy and Mindfulness Training. In addition to his therapeutic work, Will has substantial experience of teaching and training. He trained volunteer counsellors in working with young people, led a Diploma in Counselling course as well as being an associate lecturer in groupwork at Brighton University. He has delivered specialist training across different service settings, including child protection services. He is a UKCP registered Child and Adult Psychotherapist and a Senior Counsellor and fully accredited Supervisor with the British Association of Counselling and Psychotherapy (BACP).